Ideas and inspiration on displays. Customizable, lower height shelving with easy sight lines and swappable wood, laminate or solid color end panels. Make a statement and define your space with this display piece. It gets people interested and it communicates a message of your choosing: Browse, Current, Explore, Popular. Hidden wheels for mobility. Color heightens visual appeal and engages patrons. 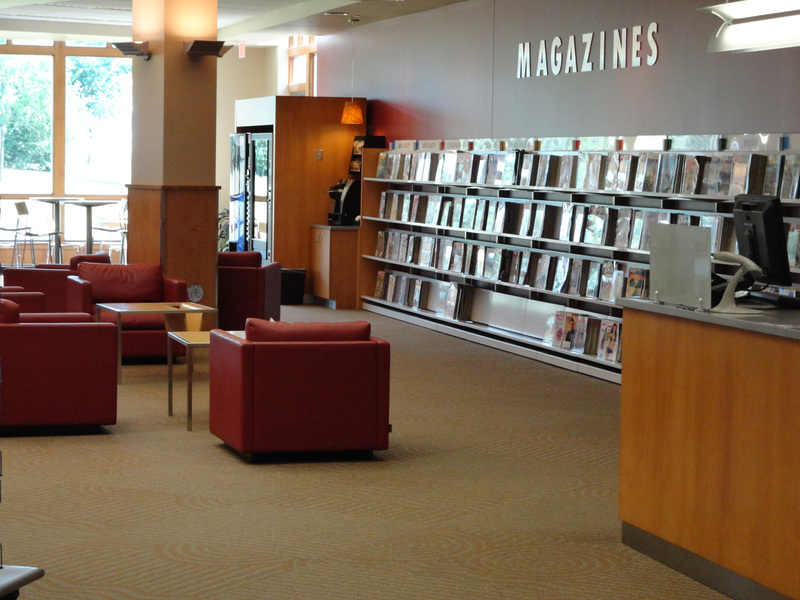 Matching display fixtures and bench seating turn shelving into much more. Just roll with it! 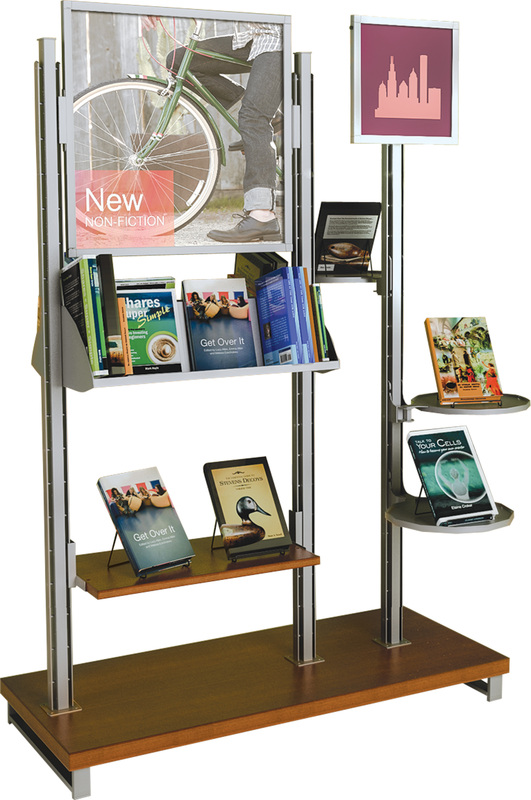 Displays on wheels can be repositioned, creating a different look that attracts patrons even if display categories stay the same. Retailers are known for their signage and pairing it with products. The concept works for libraries too! Coffee table meets display. Round towers are an easy fit with comfortable lounge areas, inviting people to kick back and enjoy a book. Patrons are used to seeing this display style in retail stores. 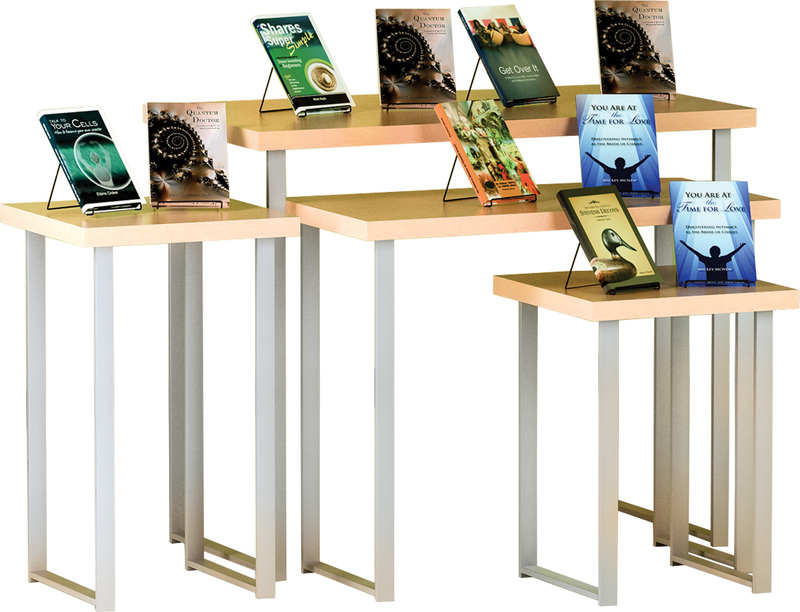 Take a page from their merchandising book and have fun arranging the tables in many configurations and various locations. This design not only matches existing oak furniture, but it also makes for a grand welcome to your library. A contemporary, unique design holds volumes! 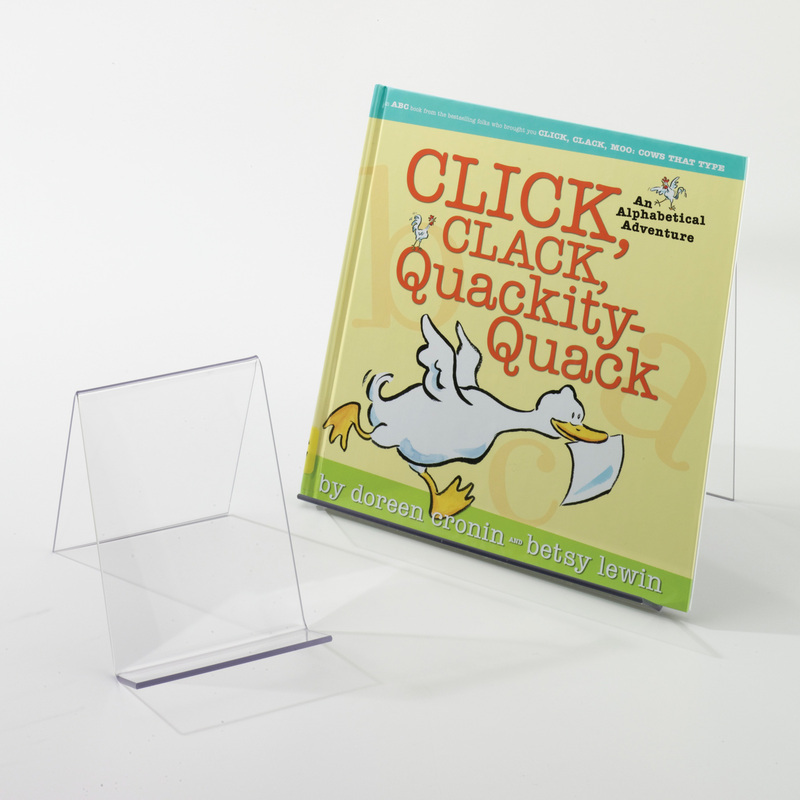 This display includes its own matching sign holder, beautifully incorporated into its frame. Give patrons a place to look! Cubed, geometric design provides a focal point in any room. 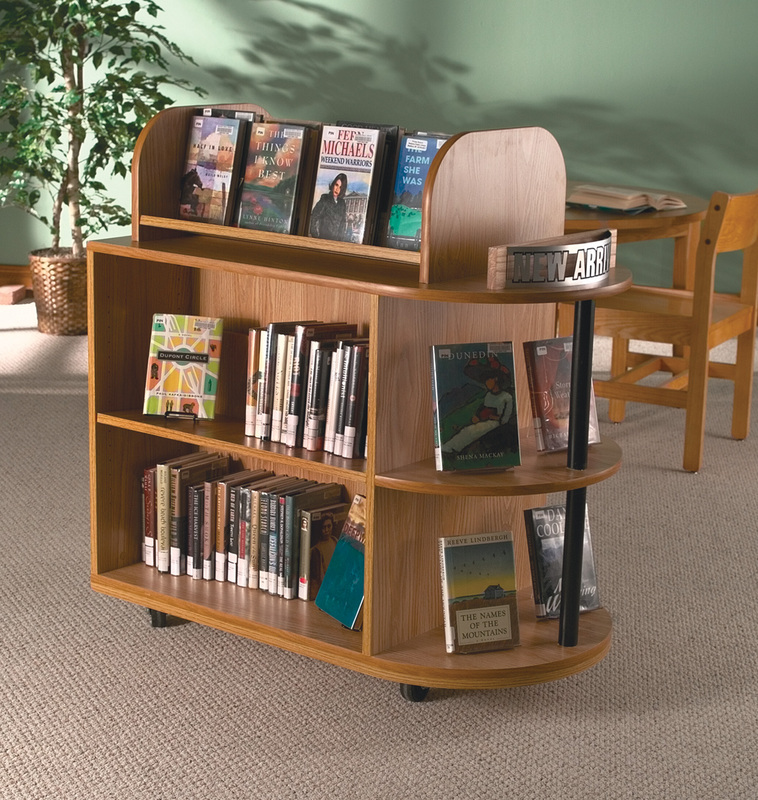 What a spacious, welcoming entrance to showcase your popular collections in a browsable manner! 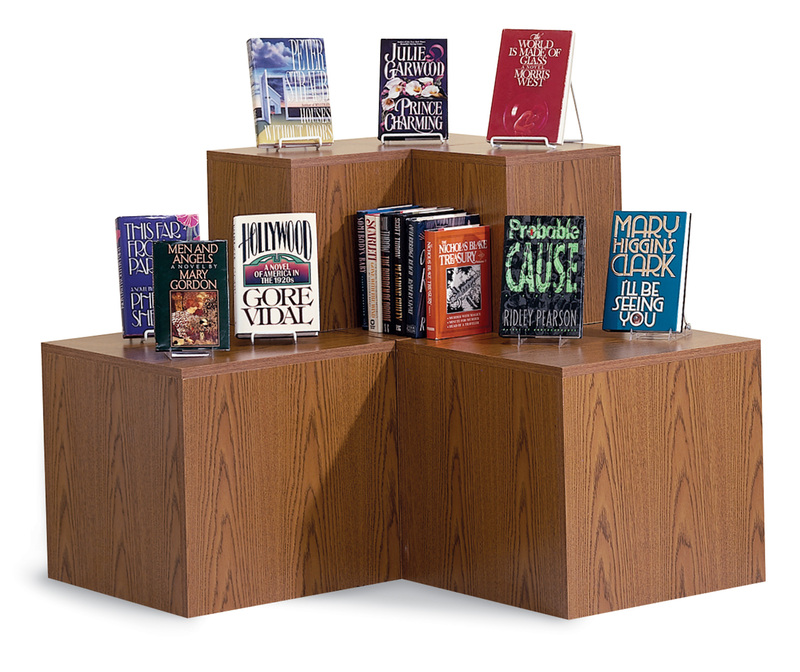 Pair this display with Liberation™ Wood Bookstore Display Shelving to show off your collection in a versatile way that’s easy on the eyes. Side panels also give you more mileage with your displays. Stack ’em up. Arrange cubes to display your newest arrivals and special exhibits. Appearances count. 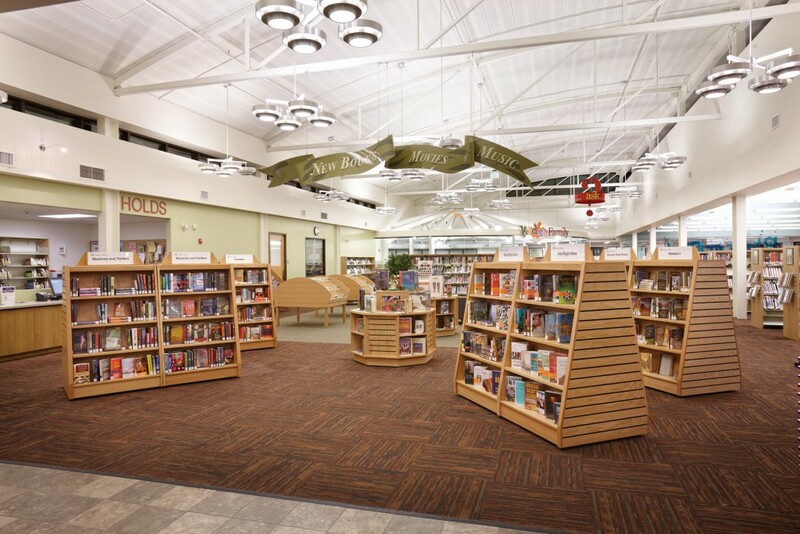 This highly visible organization style creates an enticing environment where people want to be and may even boost circulation! 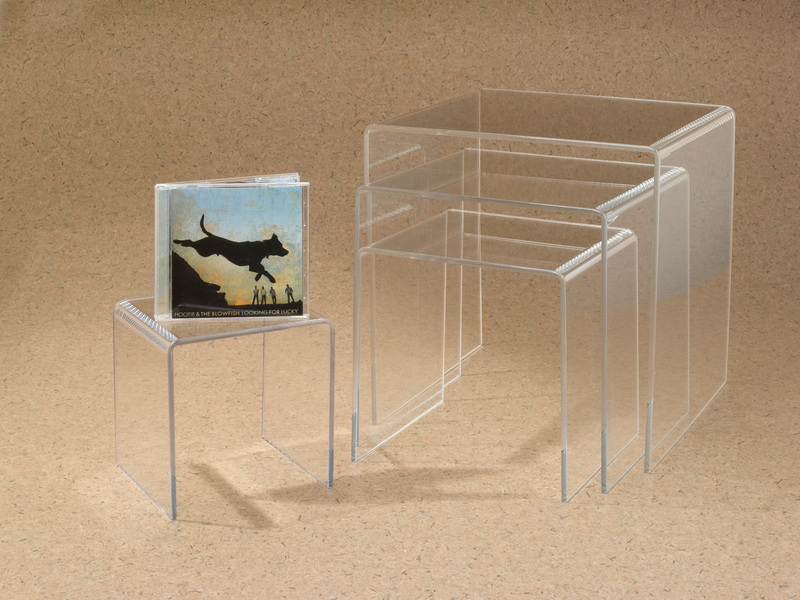 Clear acrylic bins give structure and appeal to a year’s worth of periodicals. A new take on an age-less spinner display. 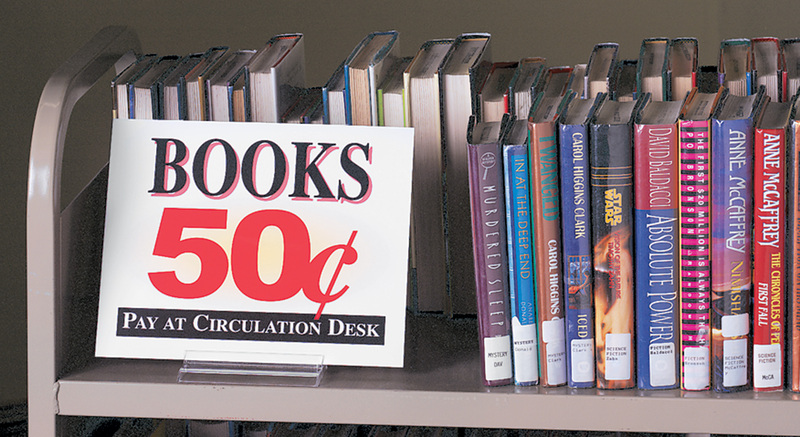 It’s an easy way to incorporate parts of your collection into other areas of your library. Durable, dependable classics that virtually disappear from view so that your materials can take center stage. Customers rave about this 6-shelf curved display. 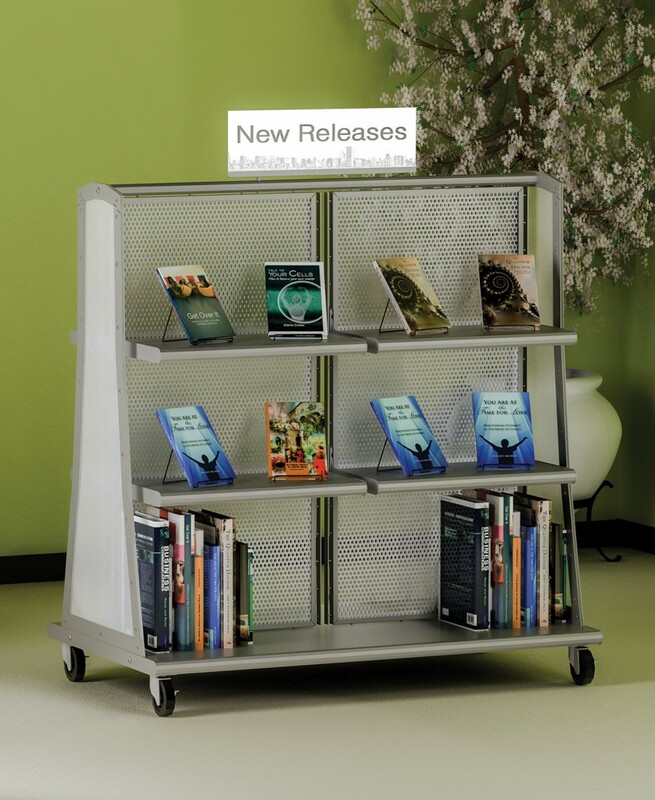 It’s modern, sleek and holds as many as 36 books. Create an attractive face-out viewing arrangement for a variety of materials. Perfect for elevating small collections or special artifacts. Cost-effective plastic face-out display option. Clips on to shelves up to 1-1/4” thick. 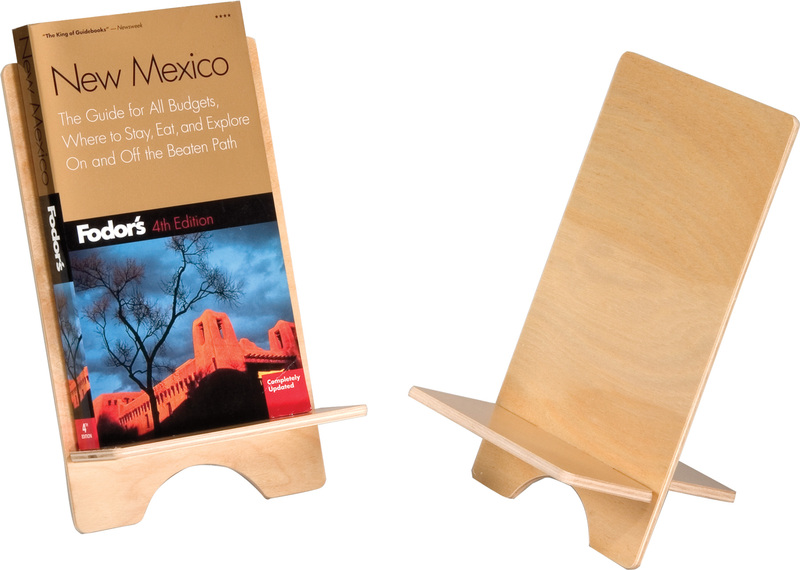 Use as both a book end and a nifty face-out display. Heavy-gauge steel construction. Attaches to shelves 3/4” thick. 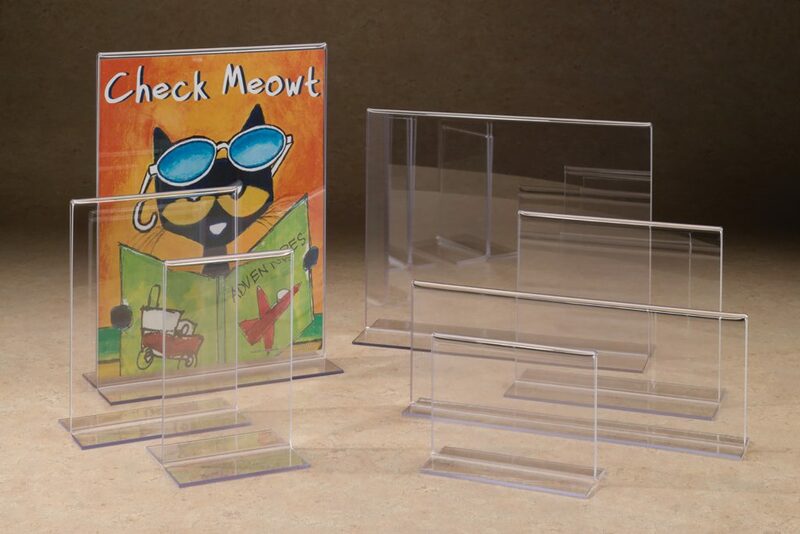 These acrylic displays work with your existing shelves, giving you an affordable way to bring attention to your collection. 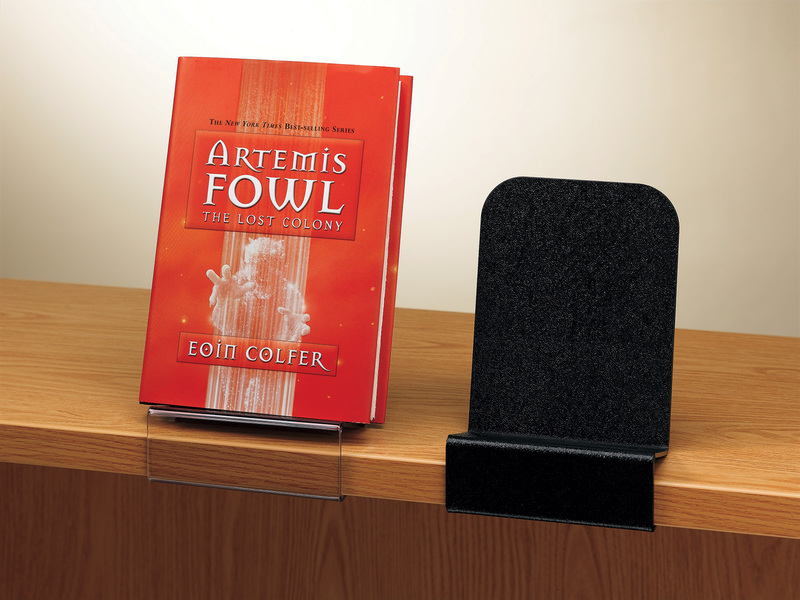 Insert your sign or plastic card holder into the base and your message is right in view — on countertops, circulation desks, book displays or booktrucks. 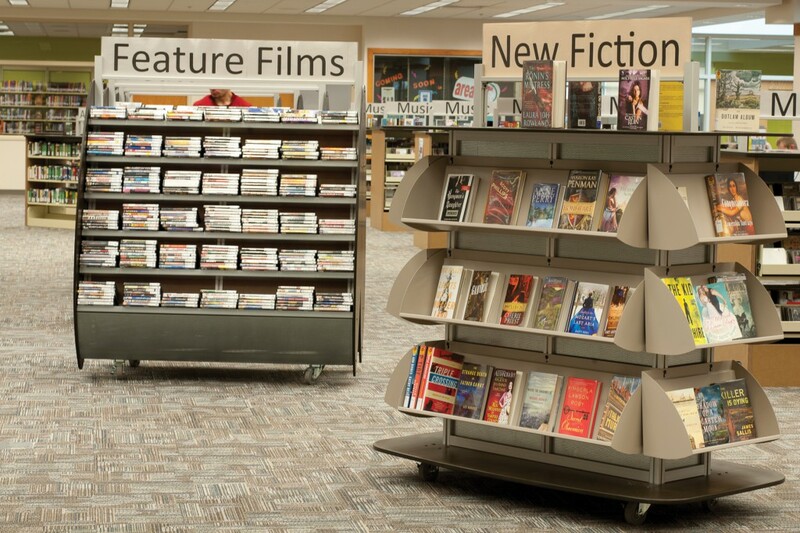 Shelves conveniently adjust to different angles to display a variety of media. Use 2 Single-faced Displays to create a back-to-back piece that is sure to please. 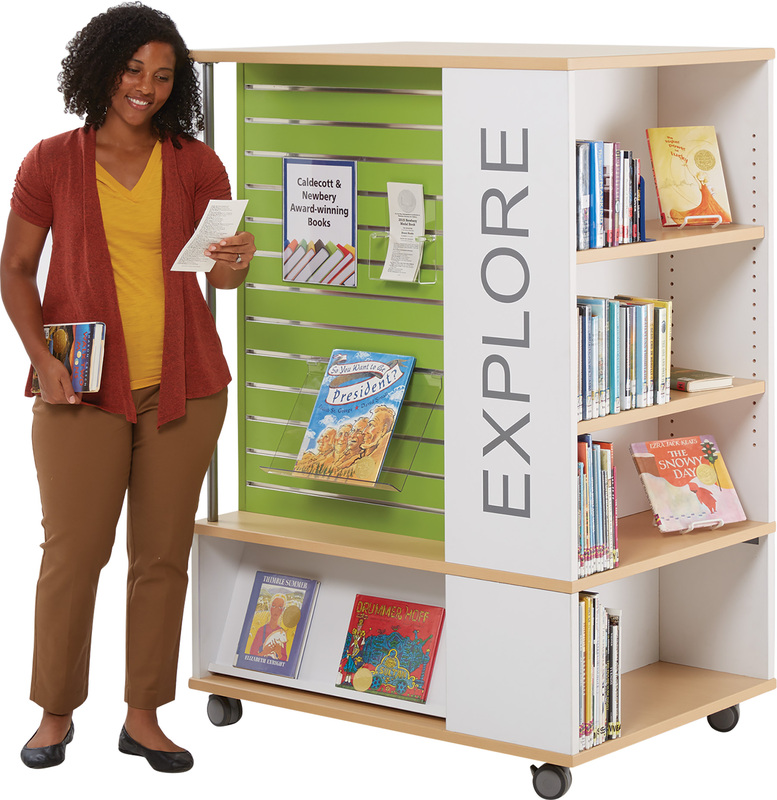 This contemporary piece packs aesthetic appeal and plenty of space: 8 side shelves, 2 slanted display shelves, 1 sign holder and ample surface area. 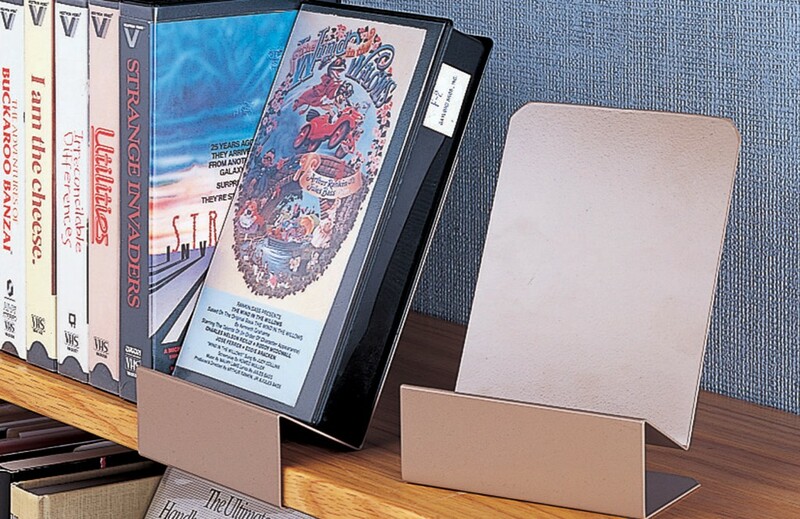 Use easels, bookends and supplies to make resources stand out. The secret to great displays often begins with the basics. 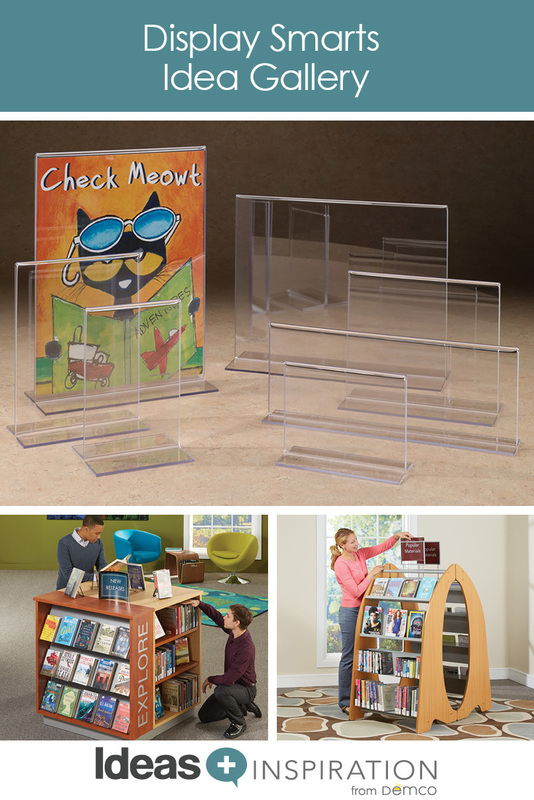 These sturdy acrylic plastic stands are easy to load and help your library have a cohesive and affordable way to present information. Another showstopper with a compact footprint. 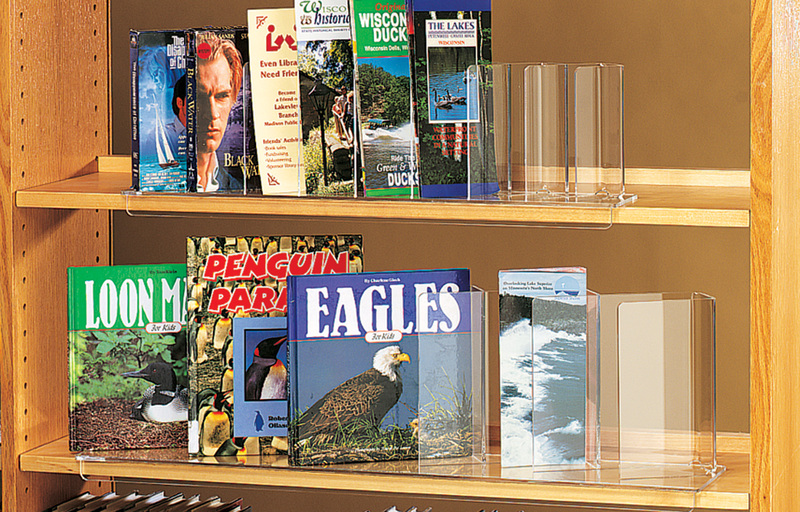 Grab people’s attention with multifunctional display options: slatwall, face-out and shelves! 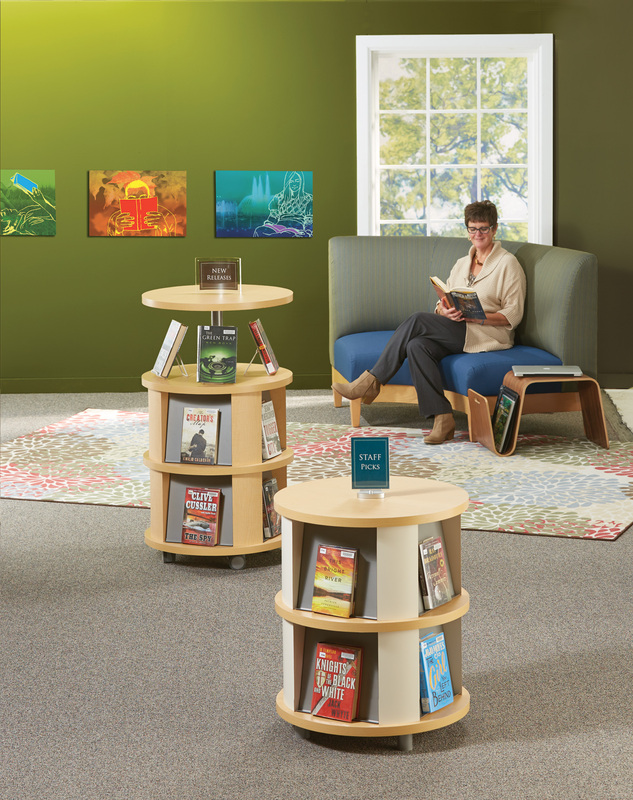 Pick a theme or topic and curate a diverse and captivating display for your patrons. 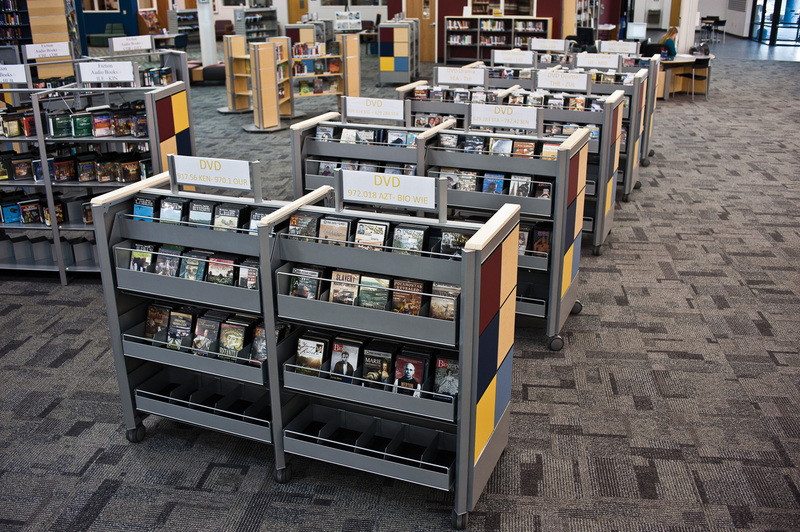 Multiple slots on each level can showcase a variety of materials from books to media.